Last Wednesday our very own beneficiary team member made his TV debut on Salvage Hunters “Classic Cars”. 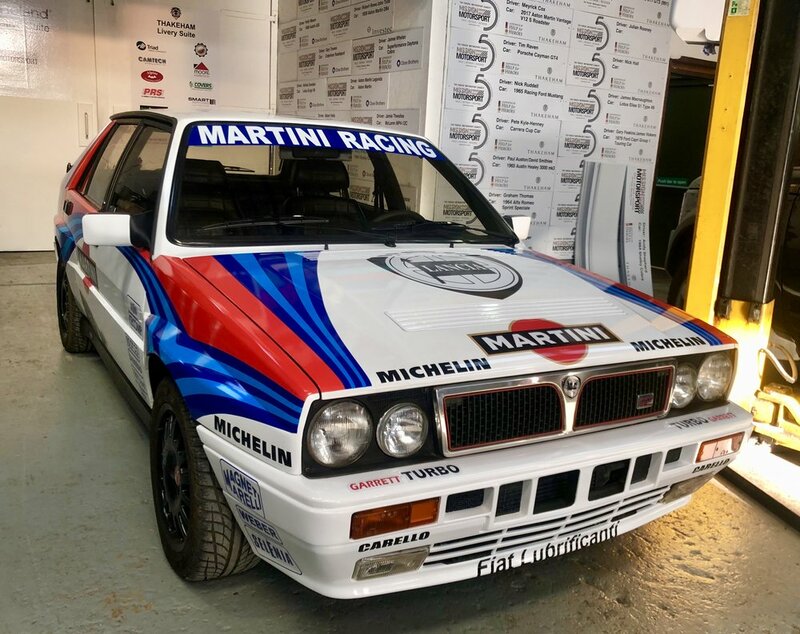 We were approached by the show in order to help transform a Lancia Delta Integrale from it’s original colour (red) to a throw back to its rallying history. 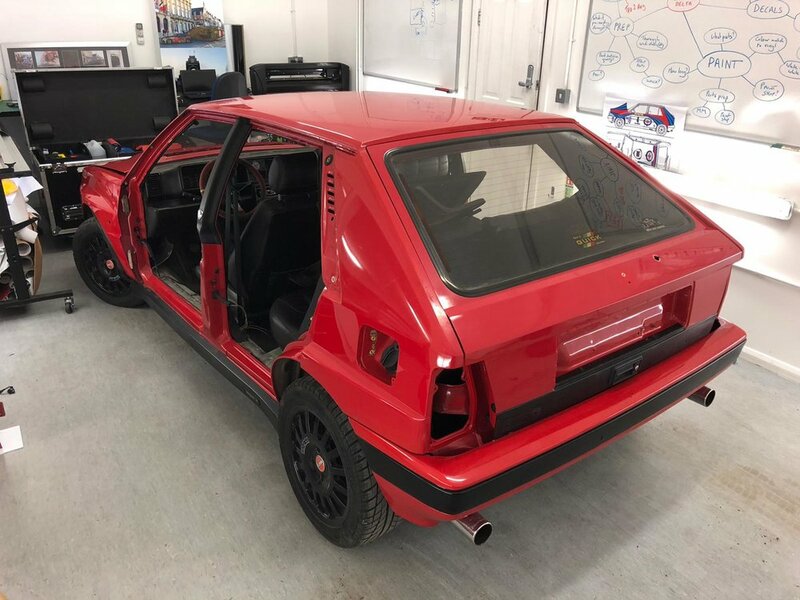 The entire wrap was completed in house in Mission Motorsports custom built livery bay by Dave and filmed for the programme as he went along. As you can see from the images below it was certainly an amazing transformation! If you are interested in getting your car wrapped or even just a few stickers please email Dave on livery@missionmotorsport.org for a personalised quote.